The customer wanted to implement remote monitoring for two hydro turbines. The goal was to install the equipment without the need for longer separate production stoppages. Nome designed and implemented the monitoring and control system with the customer. The production stoppage time was less than 10 hours in both sites. Our client is a significant player in the Nordic electricity market. It produces electricity from renewable energy. 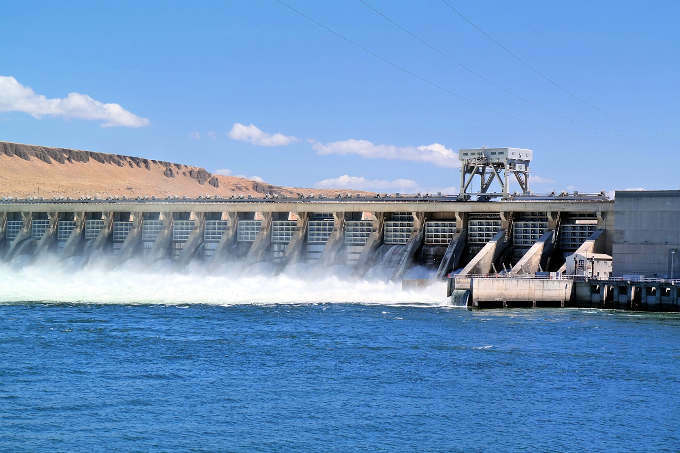 The client wanted to connect two unmanned hydroelectric power plants for remote condition monitoring support. The revision of the hydropower plant was not planned in the near future, so installations should be made during normal production. For the hydroelectric power plant, uptime is one of the most crucial factors affecting profitability, so the primary goal was to prevent production interruptions and install a condition monitoring system with minimal downtime. All preparations had to be made during production or during short production interruptions. There was a need to prepare for the installation as accurately as possible so that the plant does not have to stop due to avoidable causes. Planning of hardware and software of the custom-made nmas monitoring systems was proposed by nome specialist team, options were discussed with the customer. The planning was followed and verified by an onsite visit for increased peace of mind. After the initial preparations, successful installation was executed by two Nome’s specialists within 4 days. Less than 10 hours of production stop was needed in each site. Installation time was even less than the customer’s tight time budgeting, which was only one week. During the four working days, two separate remote monitoring systems were installed and implemented, 10 sensors were installed at each system for a total of 20 sensors. The first analysis was received immediately after installation. Nome has agreed with the customer about the regular reporting to ensure early detection of developing turbine problems. Installation and deployment took place and fulfilled customer’s special requirement for its condition monitoring systems. The time spent was even shorter than the original plan.